These items are all one of a kind. If interested please e-mail to let me know your interested in the item. I will put a hold on the item until your payement is received. When payment is received the item will be removed from the page. 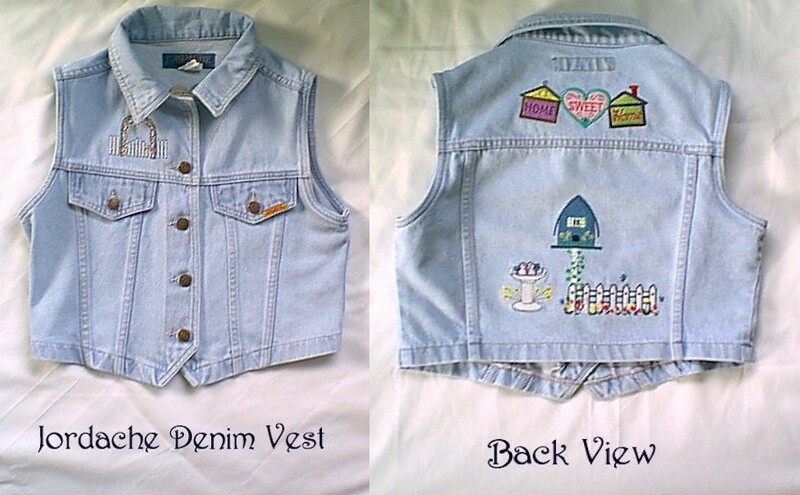 Little Girls Denim Jacket with white lace and butterflies. Also has rhinestones on back. 12 inches x 12 inches. Pink and white stipes with white center with Country Folk style embroidery design. 4 pink silk rosebuds on corner of white center. 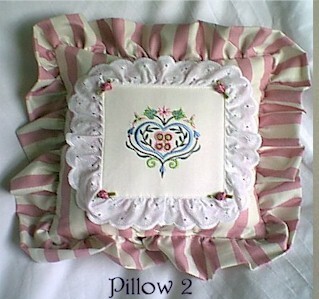 Pink and white striped ruffle on outside of pillow and white eyelet surroundss center. 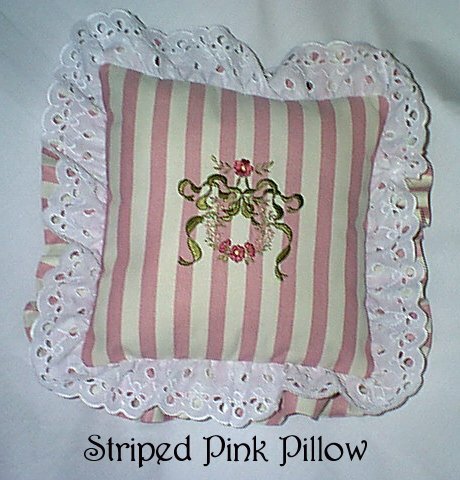 12 inches x 12 inches pink and white striped pillow with double ruffle, outside ruffle is pink and white stripe, top ruffle is white eyelet. Center has embroidered design.